Ferndale, MI – Ferndale Police have released the identity of the woman whose body was found at 1521 Hilton Friday. Sixty-two year old Debra Reda will be remembered by many as the woman who would ride her child-size bike around Ferndale, often wearing a camouflage jacket. She was a quiet woman who would often smile to people as she rode past. Debbie was a ray of sunshine to me and my family, and an important part of our family for over 10 years. We spent all the holidays together and made lots of special memories over the years. The pictures were taken on Cass Lake. She loved going out on the boat! She had never driven a boat before (or a car!) and had so much fun. Debbie also loved going to the Detroit Zoo and Emagine theatres for movies and had a cat, Lovia, that she adored,” Hocking said. 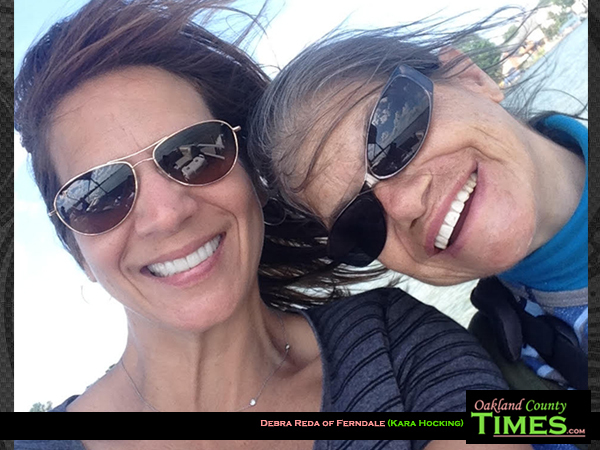 “Debbie faced many heartaches and difficult challenges during her lifetime, but through it all, was somehow able to maintain a pure and beautiful soul and was always loving and thoughtful toward others. She was truly amazing! She was one-of-a-kind and so very, very special to me. I will miss her dearly – and will hold her close in my heart, with much love, until we meet again. 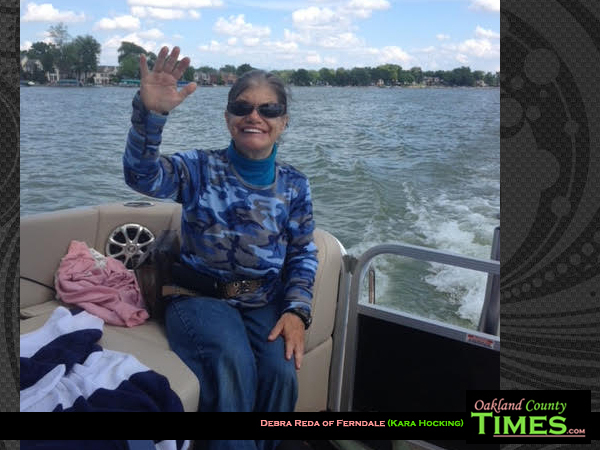 “Oakland County Times would like to include a picture of Debra Reda, and memories if people would like to share. This story will be updated as we are able to share more, and we ask that the family’s privacy and time of mourning be respected. If you have something to contribute to remembering Reda, please email editor@oc115.com.